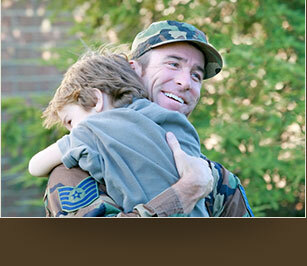 Active-duty military members are getting better safeguards in child custody cases. The House of Representatives passed an addition to child custody protections afforded to servicemembers as part of the Servicemembers Civil Relief Act as part of the most recent military spending bill. The measure is in response to one legislator’s prolonged efforts and a court case that drew attention to the issue earlier this year. 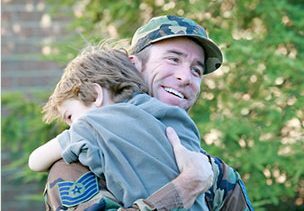 Less easily noticed among big ticket items in a $577.1 billion Defense Policy Bill passed on Dec. 4, 2014 was an SCRA amendment that protects the child custody rights of active duty servicemembers, according to Stripes. The bill adds language to the SCRA that says courts can’t use deployments to deny servicemembers child custody. When a custodial parent deploys, the court can award temporary custody only for as long as the deployment justifies it. Rep. Mike Turner, R-Ohio, has been a vocal supporter of these changes for almost 10 years, according to the source. He has faced opposition from lawyers, family advocates and even DOD officials. These foes feel that the amendment won’t be helpful and may confuse military families. Attorney Mark Sullivan, a family law expert and an Army retiree, told Stripes that neither he, nor Turner nor the DoD could find a single case in which this law would protect a servicemember in a child custody case. “Why put a law on the books that isn’t needed and can only cause problems?” Sullivan asked. This addition to the Servicemembers Civil Relief Act gained traction in part because of the recent Hindes case, in which a servicemember in a child custody case saw his rights denied under the Act. According to the Navy Times, the judge in that case attempted to hold Matthew Hindes in contempt of court because he failed to appear. He was serving aboard a submarine at the time. The SCRA allows servicemembers to stay proceedings like this until their duty allows them to attend. Turner commented on this case in a June 20 statement, the news source reported. Past defense secretaries have opposed the bill on the advice of family law experts, according to Stripes. However, after a meeting with Turner, secretary Chuck Hagel dropped the department’s opposition. Going forward, family law courts and related organizations will have to take this new law into account. Determining which clients have active duty status can be a difficult and time-consuming process, but the Servicemembers Civil Relief Act Centralized Verification Service can help to make this easier.